I worked until 2am to finish this new DUPE series! More pictures to follow!!! 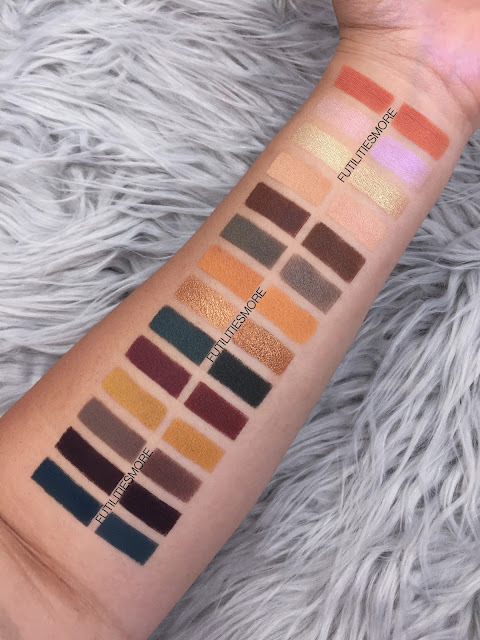 Today’s new dupe series is with this stunning palette. I had to do it! 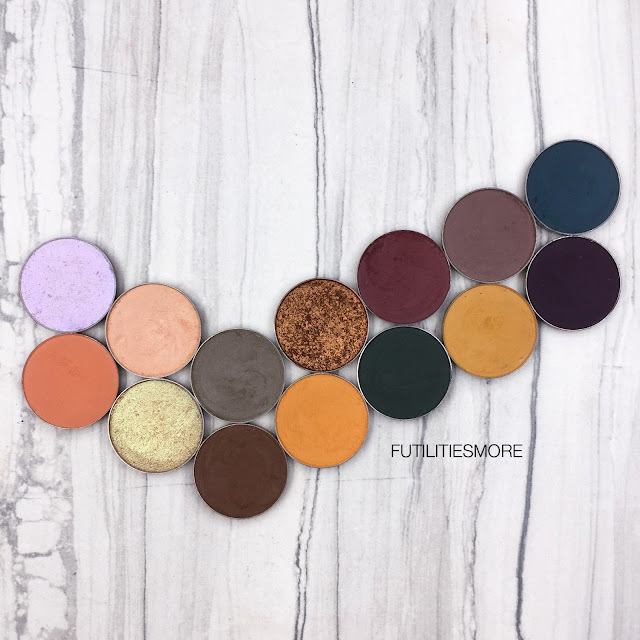 My first palette series with MUG eyeshadows was with the Master Palette by Mario from last year, this is the continuation of one of the most loved topic on my page! Thank you for your constant support, it is so good to hear that you find my comparisons so helpful and thank you for your trust as well on my reviews and thoughts, which is the most rewarding thing for me. I Owe you (Colourpop), option Mango Tango (darker and more pink). Phantom (purple reflects), option Mai tai (pink and peach reflects), Mood Ring (duochrome pigment with pink reflects), Sauvage (Colourpop, darker with pink and peach reflects). 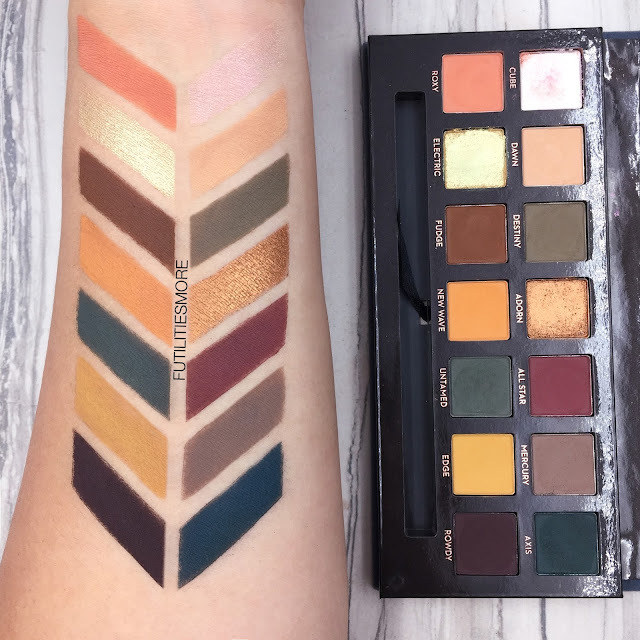 My SWATCHES of the Subculture palette by Anastasia beverly hills . 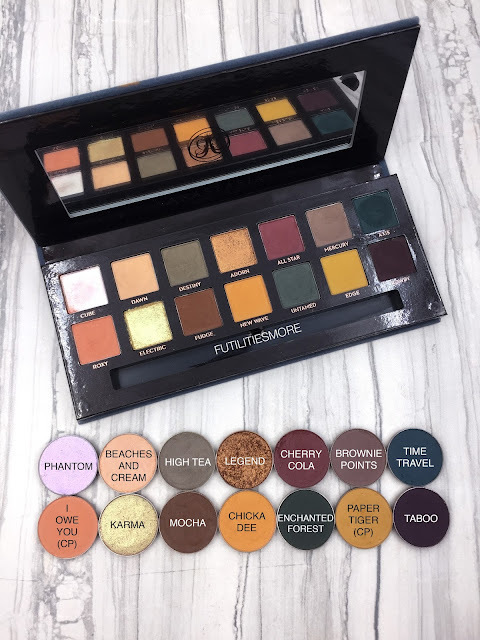 The shades are so freaking stunning, seriously so pretty together! I'll of course give you my THOUGHTS once I tried it! 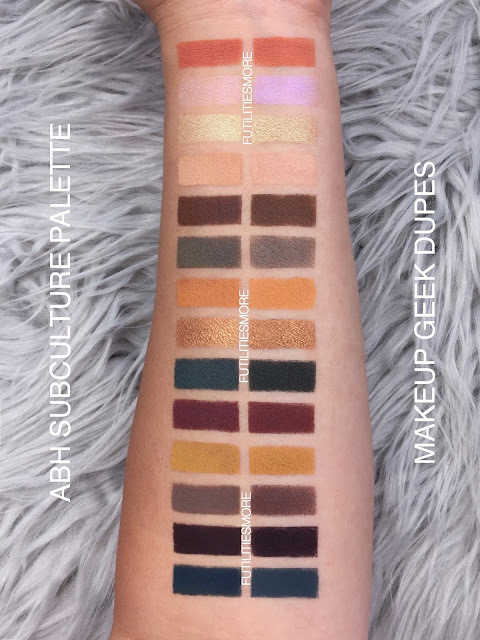 The swatches were so easy to do because the matte shades are so pigmented ! I dipped my blending brush on some of the matte shades and they are extremely powdery with a lot of kick up. I'll use a very light hand during the application like Anastasia beverly hill's makeup artist recommended on her Instagram story. Her artistry is amazing and her steps easy to follow. The shimmery shades were a little more on the sheer side, especially Cube. But for me it's more a lid topper. Electric is also a little sheer but it is buildable. And the last shade, Adorn has like an oily texture that reminds me of some Juvia's place shadows. 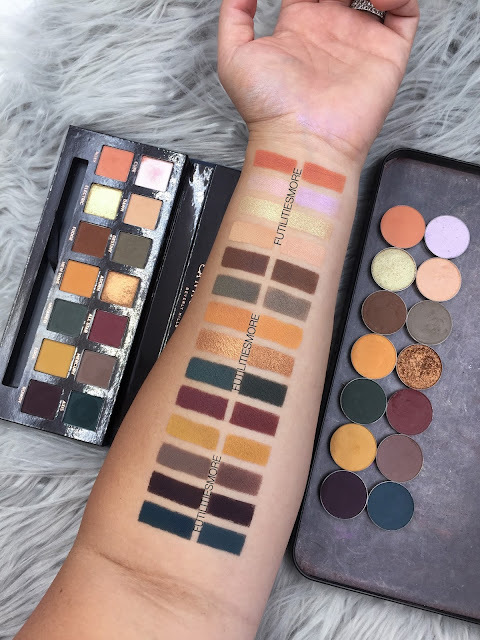 I have a TIP for you to apply your eyeshadow perfectly with this palette without any patchiness or blending issues. 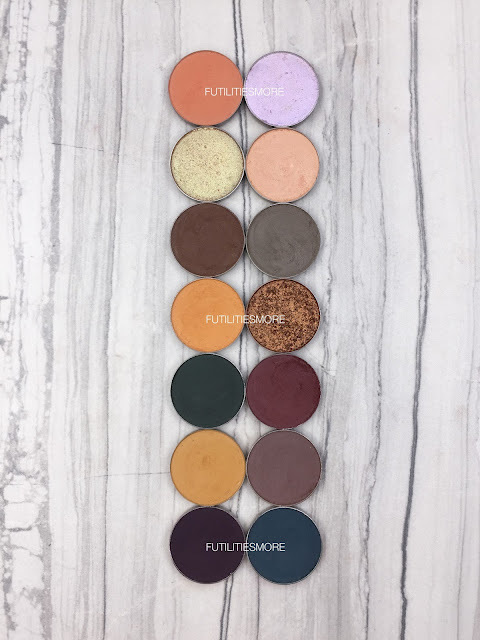 So, a follower of mine told me to consider the product more like a pigment as the eyeshadows are very powdery. You don't swipe or swirl a loose pigment onto your lid, you gently press the powder onto the lid. I think it's important to try to adapt your technique to the product right? 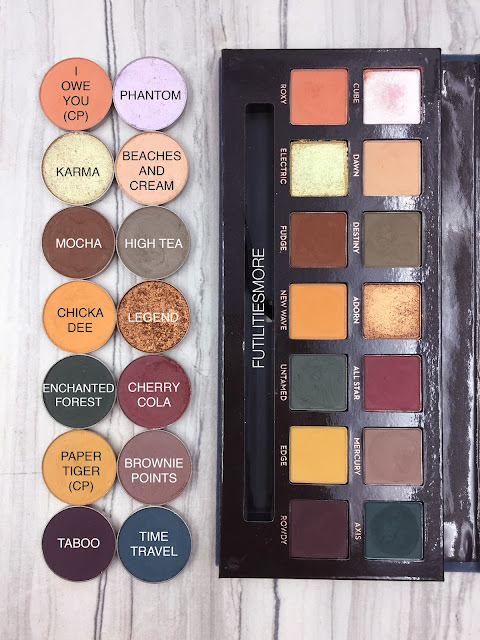 How I used the eyeshadows this morning, even with the darkest and brightest shades that seem to create a lot of issues for lots of us, you just dab lightly your brush, just once onto the eyeshadow, then very gently press your blending brush onto the lid, NO swiping nor swirling motion, it's forbidden ! Only the transition and lightest shades allow a regular blending, not the medium and darkest colors. I did my makeup today using this technique and it worked perfectly fine. I was so pleased that I had to share my experience. Yesterday, I did my regular swirling and swiping, it went ok but not that good and today, it was a good makeup day! I hope this tip is going to be helpful for some of you! Now, I still need more time to use all he shades but each day I learn something and I'm super happy with how my look turned out. And another tip, watch @anastasiabeverlyhills Insta story to learn how to use the palette, it's so helpful ! .